Enjoy these wonderful, healthy fish recipes. Eating fish is part of a healthy diet. Fish is both low in calories and saturated fat. Try to eat fish at least twice a week. Cold water fish, such as, Salmon are also a good source of omega-3 fatty acids. Simple yet elegant and divine, this cod recipe requires very little prep work. Remarkably easy fish with amazing flavor. Cod is a nice light, tender fish that goes well with the sauteed mushrooms. Wonderful, flavorful and low calorie fish recipe. This is an easy entree for a week day meal. Poached Herb Cod is a quick and light entree, perfect for a light dinner. Fabulous restaurant quality fish and chips made right at home! Make my Crispy French Fries to serve along with the beer batter fish. Fantastic fresh fish sandwiches are made with marinated vegetables. These are a delight for lunch or dinner. Serve them with Oven Roasted Potato Wedges. Incredibly flavorful cod that is both easy and healthy. This fish recipe will become a nice family favorite you can feel good about serving. Greek style yogurt and lemon juice add a nice tangy flavor to this tender Halibut. Great to serve at a dinner party. 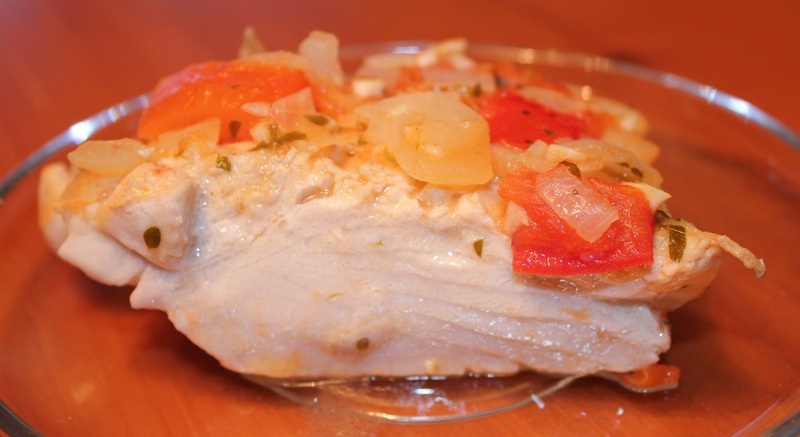 This fresh Halibut recipe is very easy to make and has a beautiful presentation. Delicate fresh halibut fish smothered with earthy chanterelle mushrooms, garlic and onions. This Halibut recipe has such a delightful blend of citrus and cilantro it leaves you wanting more. Summer freshness comes through in this delightful light meal. Serve this very healthy, lightly seasoned halibut recipe with couscous for an easy and delicious meal. Mahi-mahi is an extra lean, firm fish with a moderate flavor. Serve it with this flavorful sauce for an amazing entree. Excellent flavor with ease of preparation makes this fish entree a great choice to serve either on weeknights or for entertaining. Beautifully flavored fresh salmon fillet. This salmon would be perfect grilled or broiled. Baked salmon with a terrific creamy mustard sauce. A nice balance of sweet honey, tart lime and crushed red peppers creates a flavorful salmon with a little spice. Salmon is perfectly complimented with this mild fruit salsa. Grilled, broiled or baked, it doesn't matter how you cook it Salmon has such great flavor on its own it needs little else to make it taste great. This is my adaptation of a recipe from Tyler Florence of The Food Network. The sauce is excellent, the avocado really makes it an interesting entee so don't leave it out. Fresh tuna cooked quickly retains it's moisture. This is a delicious and quick way to enjoy fresh tuna. Fresh tomatoes, onion, and garlic really enhance fresh tuna. A quick, easy recipe that is wonderful for any favorite white fish. This fish recipe would be a great for any fresh fish. It makes a moist, flavorful fish. It's not only easy to make it's also easy to clean up. A flavorful, healthy and exceptionally easy fish recipe. The Lime Ginger marinade is fabulous with any firm, thick cut fresh fish. A fantastic light and easy summer recipe. This wonderfully aromatic sauce works beautifully with cod, haddock, snapper, sole and salmon.